HCM CITY — HCM City should push for completion of programmes on flooding, pollution, traffic congestion and urban renovation, Trần Vĩnh Tuyến, vice chairman of HCM City People’s Committee, said at a meeting last Friday (March 29). Tuyến and the members of the steering boards of four city programmes met to discuss ongoing problems and ensure that programmes are completed on time. The urban renovation and development programme is lagging behind schedule. 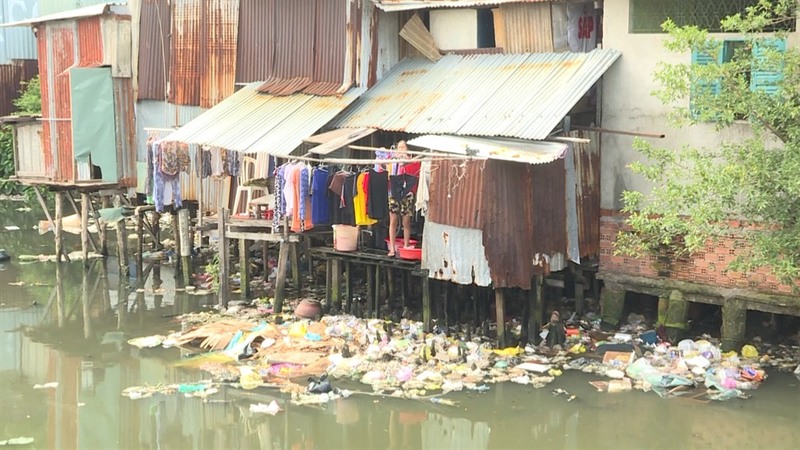 The city was supposed to complete land clearance and compensation for 20,000 households near and on the city’s canals, but so far only 1,860 households have been relocated, which is only 10 per cent of the target. Bình Chánh District has the highest rate of traffic accidents (20 per cent of the total in the city), while District 9’s Nguyễn Duy Trinh Street also suffers greatly due to the abundance of large trucks. Đỗ Tấn Long, head of the Steering Centre for the Urban Flood Control Programme’s Drainage System Management Division, said the city would push for completion of seven projects to tackle nine areas suffering from floods, and for projects on four out of nine streets that are often flooded from high tides. The city said it would invest VNĐ7.6 trillion (US$327.7 million) in 218 projects this year. However, several projects are facing problems regarding land clearance and canal dredging. Regarding the pollution programme, Nguyễn Toàn Thắng, director of the Department of Natural Resources and Environment, said that four out of 16 set goals have been met, and 10 are set to be done this year. One of them aims to have 80 per cent of urban wastewater collected and processed before discharge, and another targets having 90 per cent of industrial gas emissions processed properly. The city is building three wastewater treatment facilities to raise the amount of collected water from 21 per cent to 82 per cent, but the facilities will not be able to operate by 2020. Tuyến told the steering boards to push for the completion of the programmes, stressing that “funds need to be prioritised towards groundbreaking projects”.